Now that you’ve learn What Is Menu Labeling, the next step is determining the best method for your restaurant to implement menu labeling! In order to accurately display nutrition information, nutrition analysis must be completed on each menu item. The results from the nutrition analysis can then be formatted to be displayed as menu labeling. There are 3 common ways of completing the nutrition analysis. Your restaurant can purchase software to estimate calorie and other nutritional information. This requires your staff to complete nutrition analysis in-house. This can be cost effective…. if your staff knows what they’re doing. When dealing with the FDA, you have to have all your i’s dotted and your t’s crossed. Not to mention you need to have documentation for everything. Here’s a tricky example: Your restaurant’s menu item includes an ingredient that is not in the software’s database. You have to make a substitution. There must be proper documentation the reasoning behind the substitution, and your restaurant is responsible for proving that the substitution was appropriate and accurate. Whoa, talk about liability! Laboratory analysis is the most accurate and most costly method of calculating nutrition information. To get an accurate laboratory analysis your restaurant will need to prepare several replica dishes. The food can be delivered if the laboratory is local. Otherwise, the menu items and replicas will need to be cold shipped overnight to the food laboratory, which adds up fast. While rates vary depending on geography, I’ve seen laboratory nutrition analysis for $495 per menu item all the way up to $750 per menu item. Since laboratory testing is not required by the FDA, this method is most appropriate for large chain restaurants and menu items that are difficult to analyze through software. Hiring a company to complete nutrition analysis for menu labeling can be a valuable alternative to the In-House and Laboratory Analysis methods. Nutrition analysis companies offer quick turnaround, partial relief of liability, and accurate results at an affordable rate. The process is completed by submitting standardized recipes to the nutrition analysis company. Most companies offer a non-disclosure agreement to protect a restaurant’s recipes. In addition to nutrition analysis, many of these companies offer additional services such as allergen labeling, staff training, food photography, recipe reformulation and even brochure creation for nutrition information. The cost of these services vary greatly depending on geography, staff size, experience, and required turnaround time. An estimated range of cost is $85 – $125 per menu item. Some nutrition analysis companies offer discounts for large orders or membership in local and national restaurant associations. So be sure to ask! Extra Tip: Look for service based nutrition analysis companies that have both a Registered Dietitian and a Food Scientist on staff. While both professions can complete the analysis, they offer different perspectives. By combining the two, you’ll end up with more accurate information. What’s the next step? 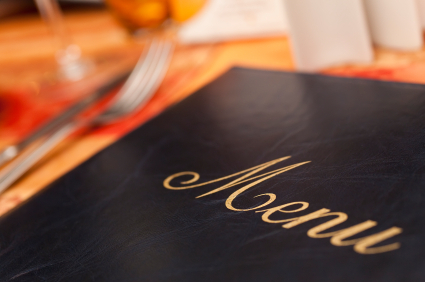 Learn about the Benefits of Menu Labeling for restaurants of all sizes! ← What Is Menu Labeling?